When you walk around wearing a halo, people know you’re a good person. And a little crazy. Larissa, the narrator in my flash fiction collection Larissa Takes Flight: Stories, often wears a homemade halo (and keeps an extra in her purse for emergencies). 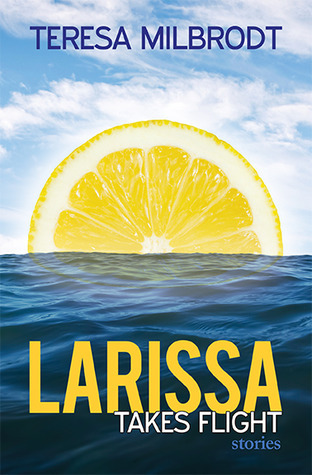 Larissa’s world is one of genies and jury duty, closet monsters and broken refrigerators, boyfriends who get eaten by snakes, and philosophers who work in the produce section. She is a sounding board for Mrs. Claus, a protector of Bigfoot’s true whereabouts, and a Barbie-basher to the bitter end. She serves as my alter ego, my conscience, my muse, and her voice is the running commentary in my head that refuses to be edited. My husband Tristan calls her “the distilled essence of Teresa” (which is rather scary if you think about it…). I knew she’d need her own book eventually, and this has been made possible by the good people at Pressgang. Pressgang is the literary press of the MFA program at Butler University in Indianapolis, and previously brought you the fabulous anthology Monsters: A Collection of Literary Sightings (which includes my story “Cyclops”). 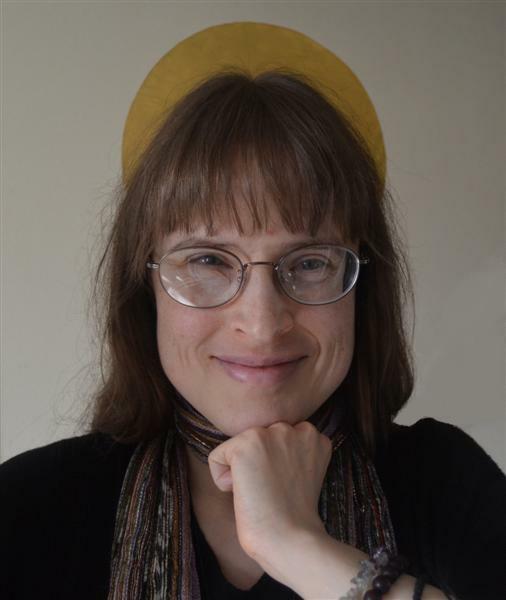 From my Larissa page on this site, you can also go to my Youtube channel and hear me perform a few of the Larissa stories that appear in the collection. You can also read a review of this collection on the arts and politics blog Scholars & Rogues, and you can check out my interview with David Dupont from the Sentinel-Tribune at this link. Happy reading, happy listening, and stay tuned for updates on Larissa’s continuing adventures. You can also click here and go to my blog where I’ve posted even more Larissa stories.